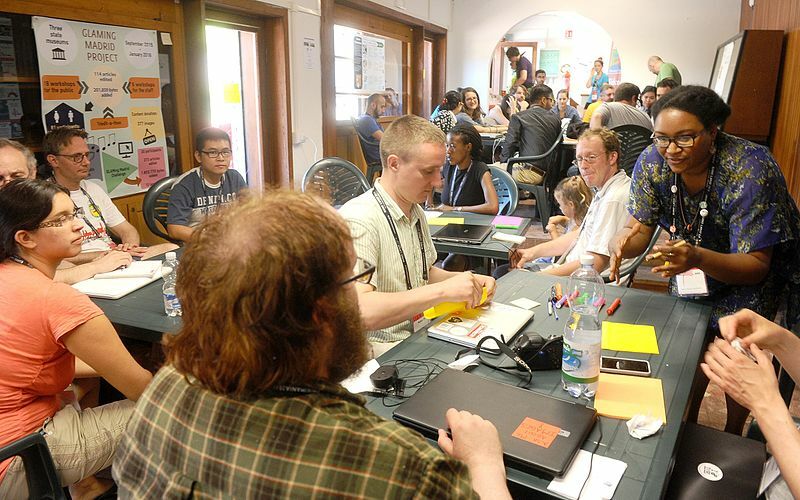 Participants at a WikiMedia idea lab. Image source. The Wikimedia Foundation has cracked the puzzle on optimizing people power. Millions of volunteers contribute to Wikimedia as editors. But the foundation goes a step further and nurtures volunteer leaders to take on specialized projects that strengthen its community. You might think that a technology-focused org like Wikimedia would see its platform as the channel for volunteer contributions. Not so. Wikimedia also invests in face-to-face, community-led initiatives. Volunteers participate in “idea labs” where they design and build tools the movement needs to connect more deeply with members. Volunteers also tackle community issues, like the gender gap in editors, or online harassment. The organization empowers its volunteers with trust and responsibility. “As these are community issues, we expect that the best ideas will come from the community,” said Jaime Anstee, Senior Strategist, Manager, Learning & Evaluation, at Wikimedia. Mobilizers essentially say, “wherever you want to come in on the engagement ladder, we will make it work for you.” They are creating opportunities for involvement that match with interests that people already have. With all the data and technology tools that we have, it’s easier than ever to search for and identify who those people might be. In contrast, organizers want to engage supporters in a set of experiences that will try to transform their interests, motivations and skills so that they want to do more. This work is more transformational than what the mobilizers are doing. However, our research bore out that the typical non-profit in 2017 has a powerful bias toward mobilizing over organizing. Why? Because that’s where they’ve invested most heavily. 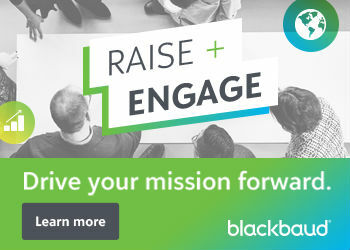 Many nonprofits have spent money and time on CRMs, petition platforms, social media, and other tech that can be effective tools in achieving large-scale mobilization. But these platforms are often not configured for organizing volunteers who are doing on-the-ground work and recruiting others to the cause. Inside any organization, financial investment signals importance, so staff often follow the money and the tech and, by doing so, reinforce the overemphasis on mobilizing in their work. Is your organization overemphasizing mobilization? One indicator of this is when you’ve got a gap between your supporters’ online actions and their offline ones. It’s a challenge to transition people from the web, but if you’re prioritizing mobilizing over organizing, your digital supporters may be falling into a black hole when they’re ready for more. Julie is the co-author of Beyond the First Click: How Today’s Volunteers Build Power for Movements and NGOs. This article is adapted from the report. Julie is a world-class digital strategist with a deep understanding of technology and web culture, and experience deploying complex, innovative digital projects that connect and inspire people to improve their world. Most recently, Julie was Managing Director of Web of Change where she brought together leaders working at the intersection of technology and social change.